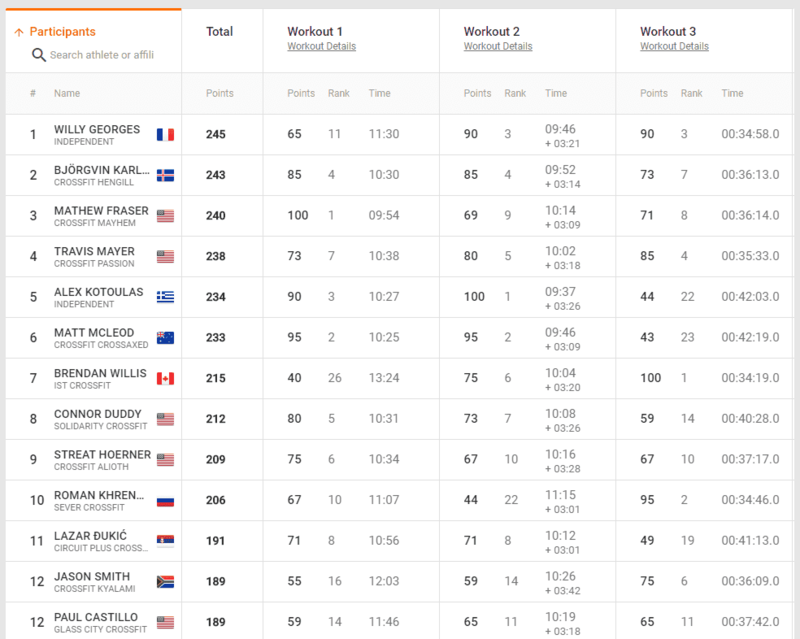 The first Sanctioned Event of the 2019 CrossFit Games season continues. 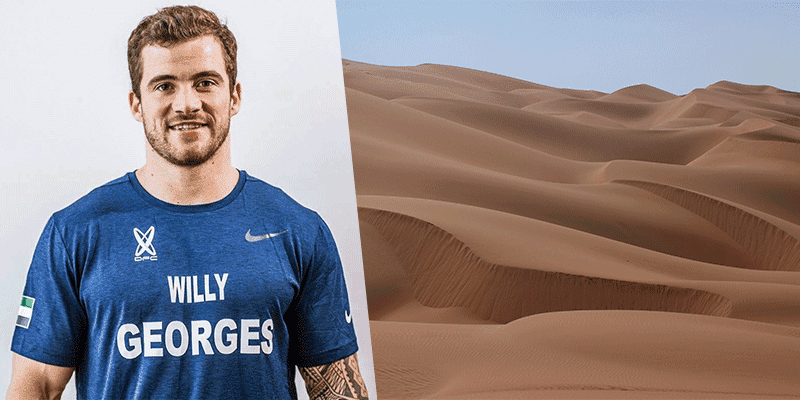 Willy Georges, who finished in 9th place at the 2018 CrossFit Games and placed 3rd worldwide in the Open, is top of the Dubai CrossFit Championship leaderboard after 3 events. Event 3 was an elegantly simple desert run. Mat Fraser won Event 1, with Alex Kotoulas claiming victory by battling rough seas during Event 2. 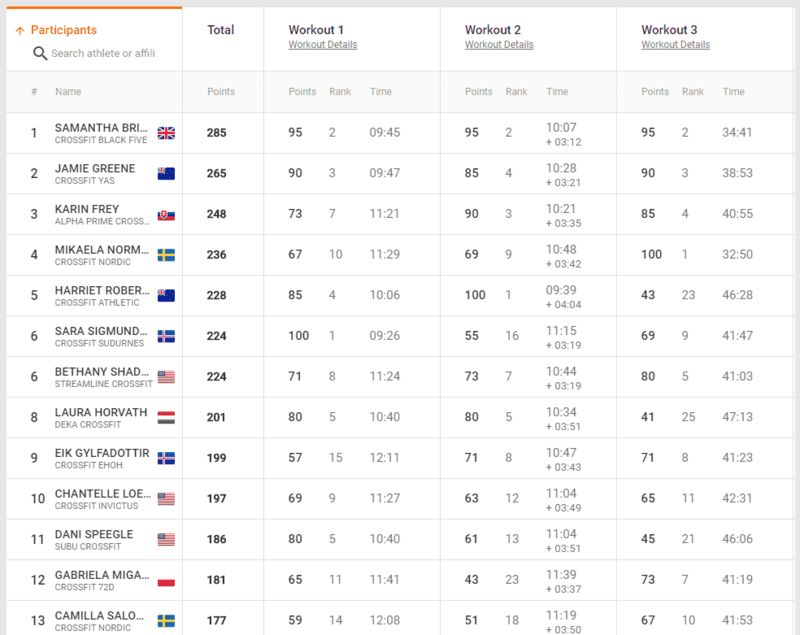 Briggs took second in Event 3, finishing second behind a gritty performance from Mikaela Norman from CrossFit Nordic. The Dubai CrossFit® Championship is a four-day CrossFit, Inc.-sanctioned competition taking place in Dubai, United Arab Emirates with the goal of bringing together individual and team athletes from around the world to compete in the spirit of fitness. The Dubai CrossFit® Championship (DCC) previously known as DFC has been attracting athletes of the highest caliber since its initiation in 2012, and continues to provide the excitement and challenge sought by athletes internationally. Expanding on the previous success of the event, the introduction of the online qualifier allowed the Dubai CrossFit® Championship to reach more athletes than ever before. In 2017 we welcomed a total of 72 athletes from 19 different countries representing four continents, including 32 CrossFit Games® athletes. Prior to the online qualifier athletes were required to travel to Dubai and compete across multiple gyms and venues to earn a spot to the finals a week later which provided a great platform for the local fitness community to thrive and compete amongst themselves and set the stage for the years to come.